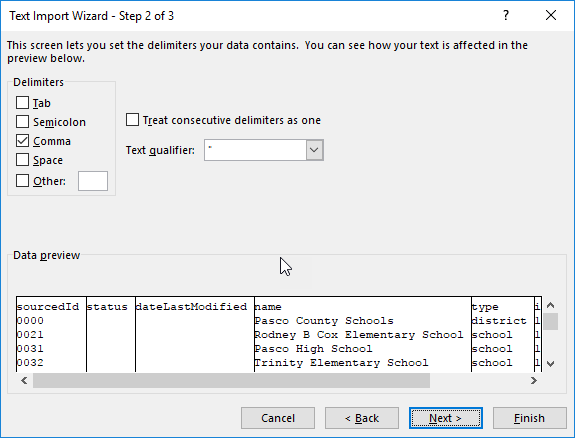 Using Excel to view or edit CSVs may cause issues with formatting, as things like leading zeroes will not be kept (for example, a sourcedId of 0021 will become 21). 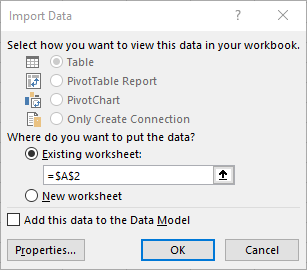 If you wish to view CSVs with Excel, follow these steps. 1. 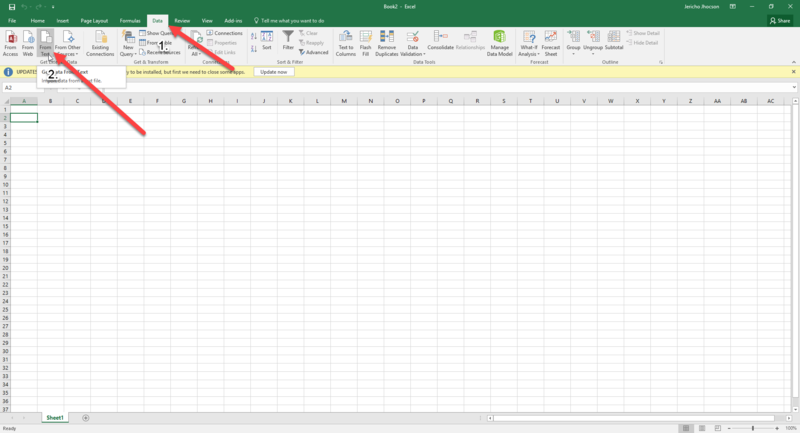 Open Excel and create a new Blank workbook. 1. 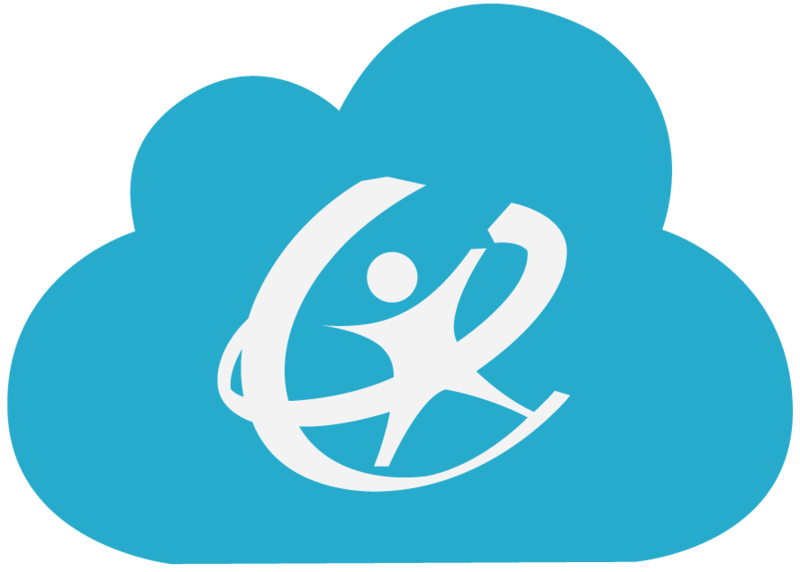 Click Data -> From Text. 3. 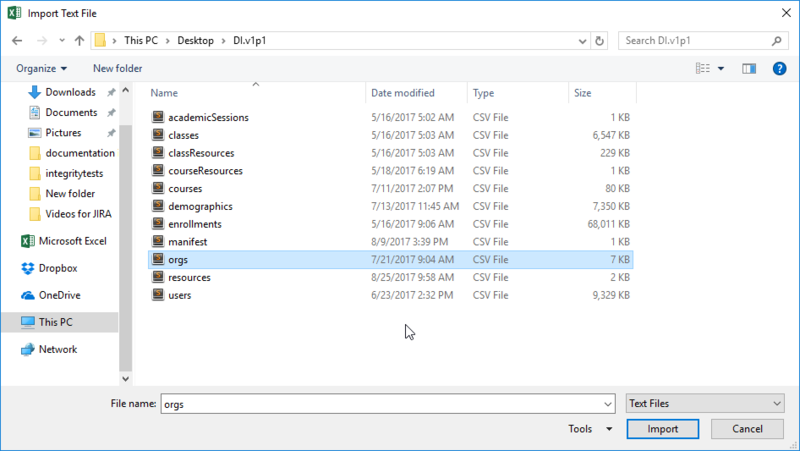 Locate the CSV you want to open, then click Import. 4. 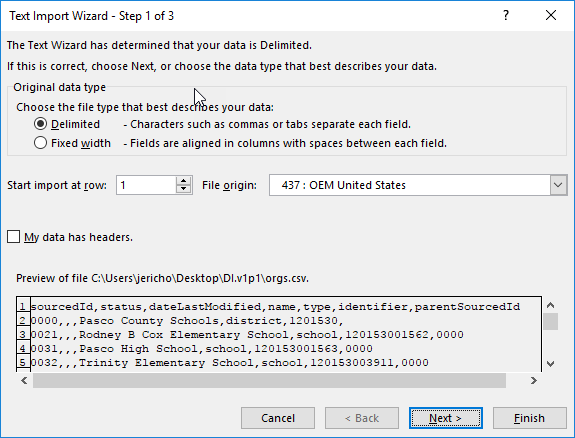 The Text Import Wizard will appear. Click Next on the first step. 5. On the next step, uncheck Tab and check Comma. 6. 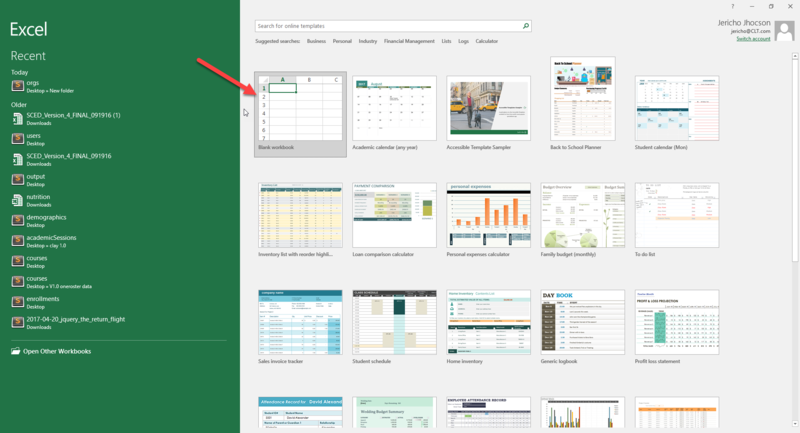 Next, hold Shift, scroll the Data preview all the way to the right and click on the last column. All columns in the Data preview should now be highlighted in black. 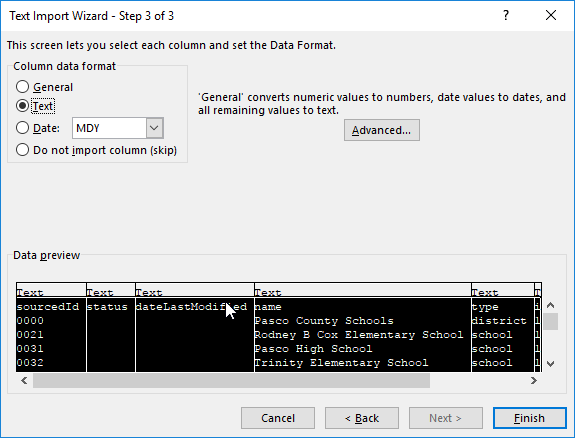 Under Column data format click Text then Finish. 6. All columns should be present and leading zeroes should be maintained.